The fact that you are reading this most likely means that you have already been contacted by your landlord or real estate agency, either in writing or in person. They should also have informed you of what they require - do they need you to move out, or are you able to stay until the property is sold? Either way, they must inform you in writing. The agent in charge of the sale will likely require access to the property, to estimate the value and take photos for the sale advertisement. They usually place signage on the fence or gate too. Your furniture and belongings will probably be visible in the sale photos, so it might be best to tidy up if this makes you uncomfortable. If you have a lot of stuff or the house is overfilled, I do recommend renting a storage unit. This can also making the moving process easier. If you will be living in the house while it's for sale, be prepared for viewings by potential buyers. Having strangers wandering through your home can be disruptive, and sometimes feel like an invasion of your privacy. The real estate agency is required to give you plenty of notice before showing anyone through the house. This gives you time to prepare and to ensure that you are available. Living in a house that is advertised for sale does raise a few security concerns. Always keep your safety, and the security of your belongings, uppermost in your mind. Don't allow people to view the house unless they are accompanied by the agent. Keep smaller valuables (jewelry, cameras, etc) out of the sale photos. Place valuables in a secure place during viewings. If you have a particularly high-value car, don't allow the agent to photograph it, either in the garage or the driveway. Park it out of camera view while the house is being photographed. Make sure that identifying papers (utility bills, etc) are not visible in photos, or accessible to viewers. Don't photograph pets, particularly if they are a rare or expensive breed. Likewise, if you have horses that live on the premises, don't pretty them up and place them in a sale photo - horse thieves love that, especially when the address is listed in the advertisement. If there is an alarm system with bypass access, ensure that it is not visible in photos, or to potential buyers. A few years ago, a fictional crime show based an episode on a homicide that occurred because the kitchen door bypass was visible in a sale photo. Homicide may be unlikely, but theft isn't. Ensure that normal home security is maintained - keep doors and windows locked. Never allow your children to be photographed, even if the agent thinks it would be a lovely photo to help sell the house. A house sale is never worth your child's safety. As a tenant, you have rights that protect you. You also have responsibilities to your landlord and real estate agency. There is usually a maximum number of viewings permitted per week. For example, where I live the amount is 2. Upcoming viewings: Depending on where you live, the notice period is usually 24hrs or 48hrs. Terminating your lease: If you choose to leave, and are on an on-going (not fixed-term) lease, normally you are required to give 21 days notice. If your landlord terminates the lease, either because of the sale or without stating a reason, you usually get a minimum of 60 days notice. 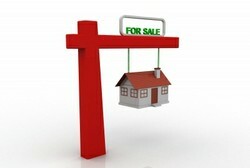 If the property sells, there is a settlement period while the sale is finalised. This time varies by location. After the sale is complete, you will receive notice of what date you must leave by. If the property is bought by another investor for the purpose of renting out, you may not have to leave. You would be required to sign another lease if they are happy to keep you in the house. You are still entitled to repairs while the house is for sale, but don't hold your breath. It is likely that they will not be dealt with, unless they are emergency repairs. Tenancy rights vary by location. Check your lease so that you know your rights and responsibilities, and so that you know what your landlord and real estate agency are supposed to do. If you don't understand something, contact the tenancy association in your state or country for help. I hope that this article has been of some help to you. If you have any advice of your own, please include it in the comments below. I hadn't thought of the security aspect. You are right, it's best not to have your best stuff in the photos.